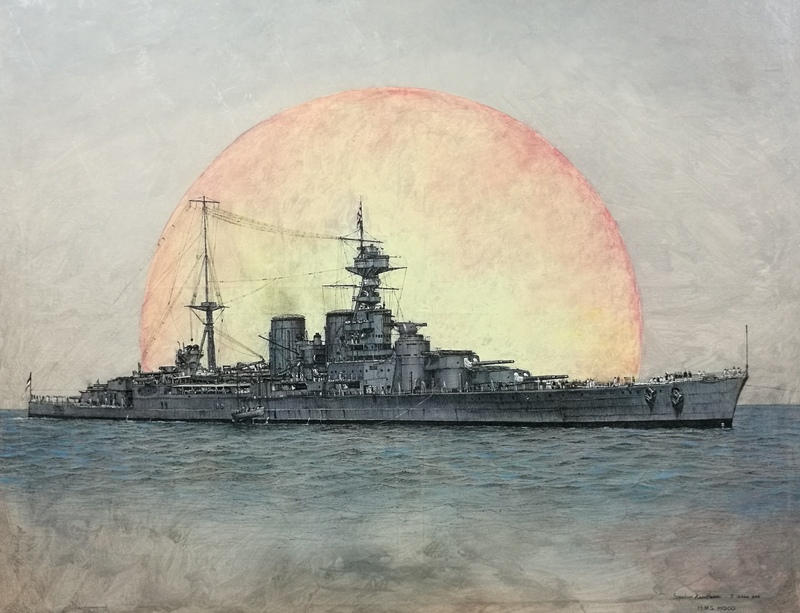 I wanted to share these paintings of the ships painted/drawn by my twin brother, Aur and me, Aop. I didn't want to post off-topic pictures in the other threads, so I will share our paintings here for all who are interested to see. 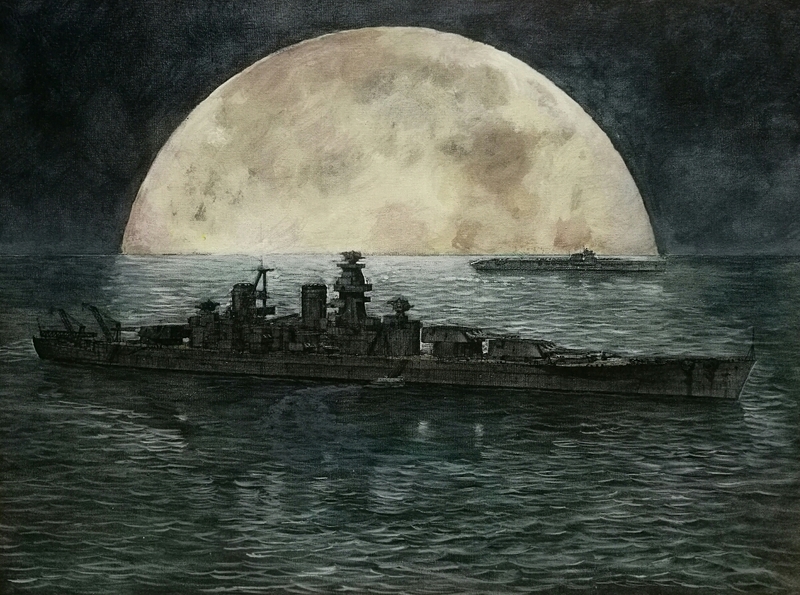 Start off with my HMS Hood in 1924 during her famous "World Cruise" painting. Here depicting the ship in the harbour of Melbourne. Technique: pen, textile and acrylic paints on canvas. I will let my brother post his own paintings, so not to be confused. 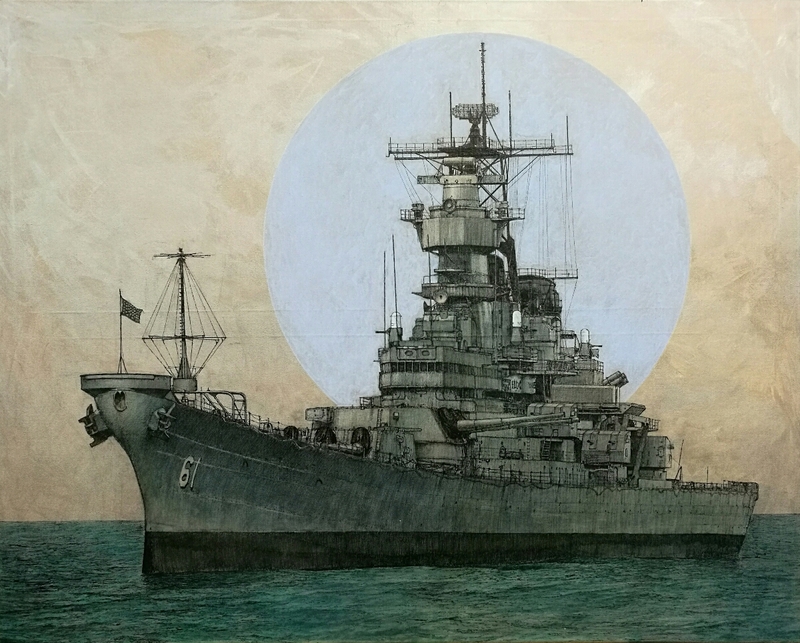 This is my painting of the USS Iowa BB-61 off longbeach in 2012. I'll have to add the anchor chain running down the hawsepipe, and a bit of touch-ups here and there. Beautiful work. Is there no end to the talents of you two? Thank you very much gentlemen! We really appreciate the (too) kind words and are very happy that you like the paintings! There's still a very long way for us to go on these roads, so keep practising! Tomorrow we are going to perform some piano pieces at a small house concert. If you are interested, we could post YouTube links of our performances for some of you classical music fans to listen to! Bringing 'couth and culture' to The Ship Model Forum. Please do post a youtube link to the concert! Thanks all for the kind words! Very appreciated! Marijn, thanks a lot for the compliment! Nice that you also like music! So your instrument is bass guitar, right? But shh!, piano must look like ships, otherwise moderators will notice! Well, the casing does resemble ship sterns. Also another very interesting subject for us to create a scale model...1/350 or 1/700 scale piano might be too small, though! A 1/1 model sits here at our home, so we're looking for smaller ones.. The accompanist playing the orchestra part is our piano teacher. Wow, you're incredibly talented musicians! 'Band practice break'. 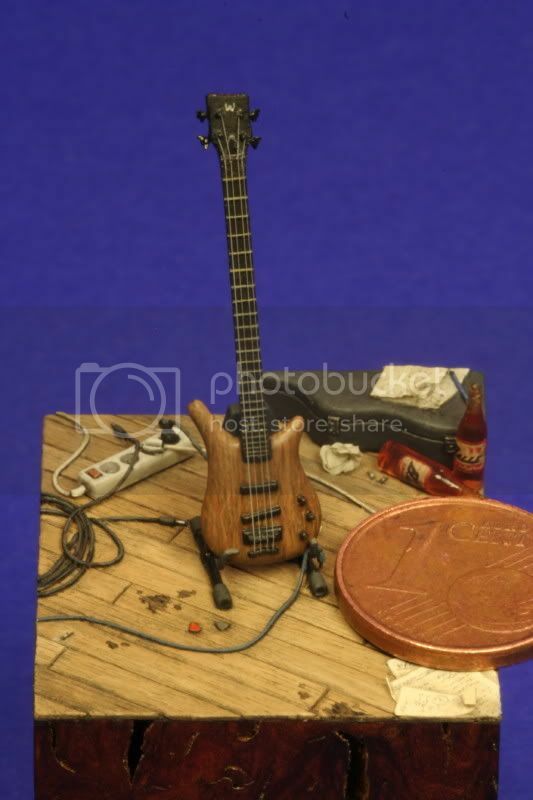 I just felt like sculpting my own bass guitar (at the time, I have sold it since), and put it in a setting every pop-rock musician would be very familiar with. The 1 eurocent is obviously only to indicate the scale (1/35). These were a lot of fun indeed! Thanks for the once again too kind words! 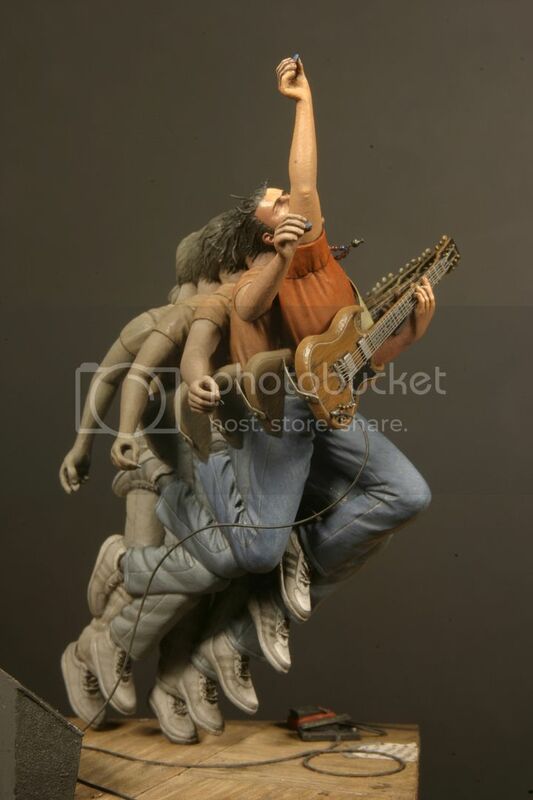 @Marijn, your sculptures are extremely outstanding! I have seen those two pics while searching "Marijn Van Gils"! 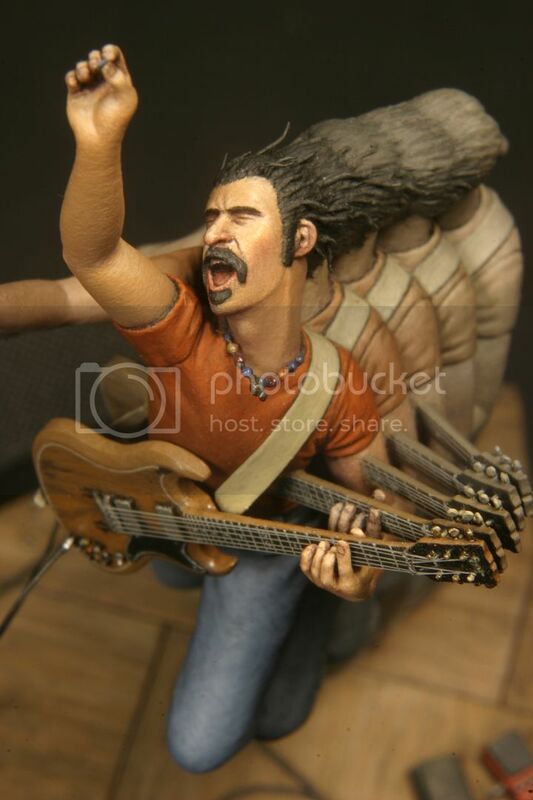 I really like the Zappa! one! The idea is very interesting and fun! We will try to post more paintings soon. 21st September, which is 3 days from now, is our 15th birthday anniversary! Maybe now that we're one year older, we'll be able to complete at least a model! Very nice drawing. And a belated many happy returns to you both for your 15th birthday on the 21st September. great paintings, I'll be honest I wasn't expecting a lot when saw the title but these are excellent. Bravo! Thanks guys! 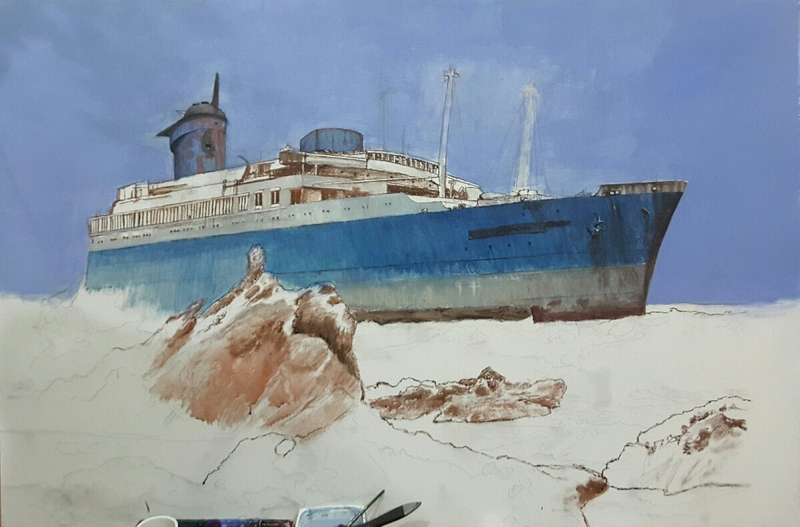 Also I have started another painting to get a break from the SovSoy. This one will be quite big! These are absolutely outstanding. What talent!!! Guess what ship this is? Looks like the famous picture of the SS America wrecked on Feurteventura Island from a few years back. No doubt of extra interest to you because it was meant to go to Phuket. Too bad it it didn't make it.